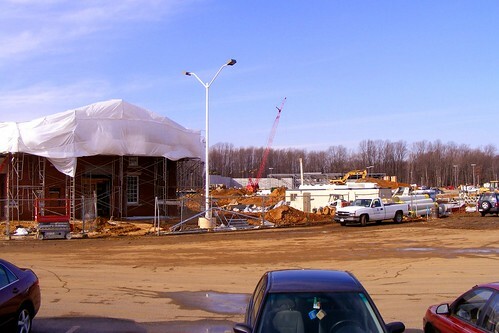 For the first time, I actually stopped by Burtonsville Town Square, the new shopping center being built on the site of the 1960's-era Burtonsville Shopping Center. Not sure if it's progress that we're replacing a strip mall with a bigger strip mall, even one that developer Chris Jones calls the "greenest suburban retail" in the nation. 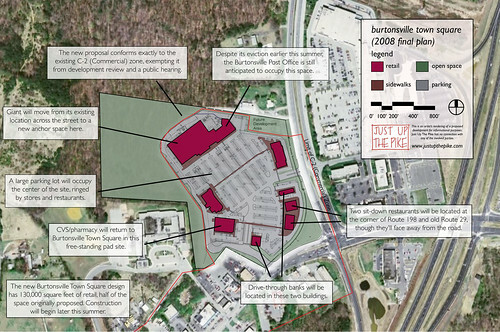 The new Burtonsville Town Square will have about 140,000 square feet of retail in one main building and seven "outparcels," containing things like drive-through banks, drive-through pharmacies, and of course drive-through fast-food joints, ringing a big parking lot. Currently, three buildings - those on the west side of the site (the left side if the picture) are being built, including a bank, a new CVS pharmacy, and an additional retail building. It's about half the size of what was originally proposed for the site, an ambitious mixed-use complex with offices, a large anchor akin to hypermarket Wegmans, and an actual town square. 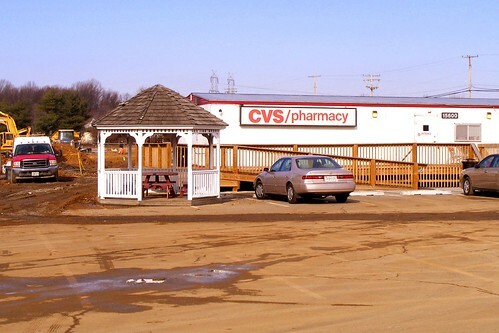 The site is currently a construction zone, save for CVS, which will operate out of this trailer while a new store (with a drive-through pharmacy!) gets built. There's a rudimentary parking lot with a few spaces and lots of dust. It doesn't feel like a place you should be in, which suggests to me that the CVS isn't getting a lot of business. That gazebo in front comes from Beiler's Structures, which operated alongside the Dutch Country Farmers' Market before both were basically evicted. Beiler's is now across the street, and as we all know the Dutch Market has decamped to Laurel. 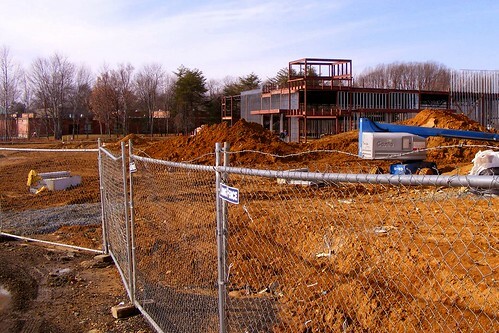 This will be a Chevy Chase Bank, replacing the Citizens National Bank at the old shopping center. Along with Giant, the bank will be jumping ship from Burtonsville Crossing across the street, leaving two big holes for that strip mall to fill. This is one of Chevy Chase's "prototype" banks, looking more or less the same as their branches in Glenmont, Calverton, Colesville, Downtown Silver Spring (at Georgia and Cameron), and just about everywhere else. Like the CVS, it'll have a drive-through. This is one of the retail buildings. It may be the new CVS, but I'm not totally clear. The tall element on the left looks like it could be the building in this rendering. Here you can see Burtonsville Elementary School in the background. 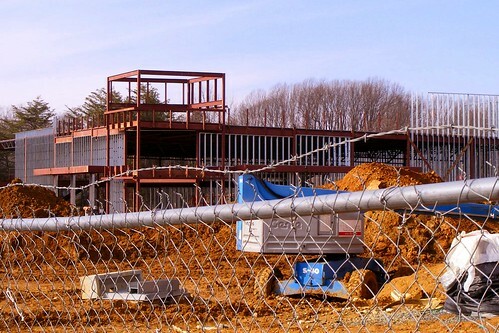 Eventually, the school, the shopping center, and businesses on the north side of Route 198 will be connected by the Burtonsville Access Road, if it gets funded. Here's that third building. I'm not clear which one it is on the site plan above, but we'll find out soon enough. This is a hole. The ladder was very tempting, but I resisted. 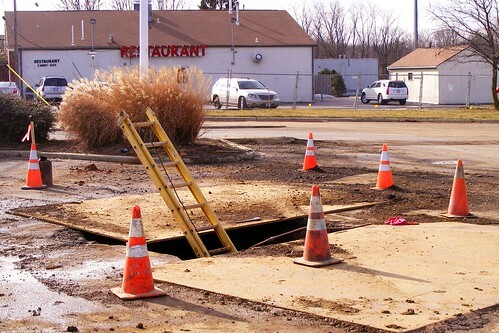 You can never trust them, and I've fallen in enough holes to know that. Thanks, Dan for the update. I too don't understand replacing one strip mall with another one, especially at the cost of the landmark Burtonsvville Amish market and of the Burtonsville Crossing Mall across the street, a fine strip mall in its own right and considerably easier to get into and out of (particularly with the access to the bypass behind it). Hope the Post Office comes back to the new mall as well as the MOCO liquor store that moved across the street (so it will not take business away from the existing Burtonsville Crossing Beer and Wine store, a mom & pop business run by a friendly couple whom I would like to see succeed). Dan, I love your website! 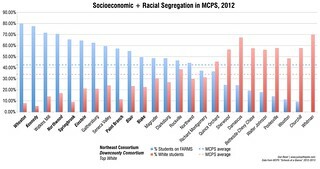 I check it often to find out current news on MoCo, especially Burtonsville (where I live and have lived my whole life). I'm glad to see that the strip mall will be getting a new look but I def agree that it could have been more ambitious. I'd love to see Burtonsville get some good sit down restaurants but it will probably end up just being the Burger King and KFC from across the street. 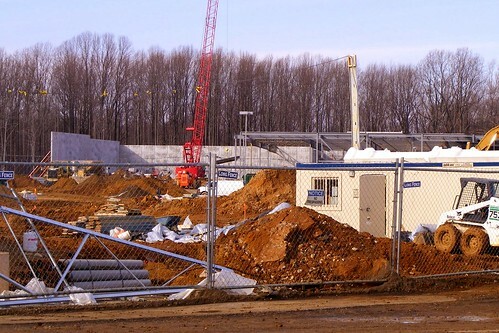 When all is said and done I wonder what will become of the Burtonsville Crossing Center. 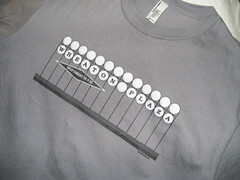 We needed a destination shopping center- something new and different. When the ICC is finished and drivers can use that to get to Rockville, I wonder if anyone will drive through Burtonsville at all let alone stop and shop.